High Temp Refractory Coating increases substrate durability. 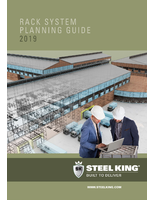 Adhering to graphite, ceramic cloth, and fiberboard, Pyro-Paint™ 634-AS is used to bond, coat, and seal graphite and refractory materials used in molten metal fluid handling components and structures in foundry applications to 2,300Â°F. Alumina-silica, fiber-reinforced, ceramic coating also prevents wear and oxidation of graphite impellers at melt line in handling of molten aluminum. Product is formulated with solids content of 61.2% by weight and 63.3% by volume to 400–700 cP viscosity range. 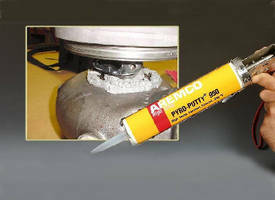 Pyro-Paint™ 634-AS, a new high temperature, alumina-silica refractory coating developed by Aremco Products, Inc., is now used to coat and insulate graphite impellers and other graphite structures from oxidation and corrosion in aluminum and magnesium foundry applications to 2300 °F (1260 °C). Pyro-Paint™ 634-AS is an alumina-silica, fiber-reinforced, ceramic coating used to bond, coat and seal graphite and refractory materials used in molten metal fluid handling components and structures in foundry applications to 2300 °F (1260 °C). A new application for Pyro-Paint™ 634-AS is the insulation of graphite impellers used in the handling of molten aluminum; the 634-AS prevents wear and oxidation of the graphite at the melt line. Pyro-Paint™ 634-AS is rated for temperatures up to 2300 °F (1260 °C) and exhibits exceptional adhesion to graphite, ceramic cloth and fiberboard. Pyro-Paint™ is resistant to wetting by non-ferrous molten metals, increasing the durability, erosion resistance and reliability of the underlying structure. Pyro-Paint™ 634-AS is formulated with a solids content of 61.2% by weight and 63.3% by volume to a viscosity range is 400-700 cP. 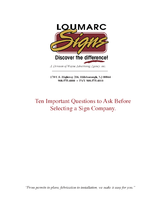 It is1applied typically by brush, roller or conventional spray equipment. Dry films from 2-3 mils up to 3/8" can be produced without cracking. Pyro-Paint™ 634-AS is a simple to use, environmentally friendly, water-based formulation containing no volatile organic compounds. It dries at room temperature in several hours and cures fully within 2 hours at 200 °F. 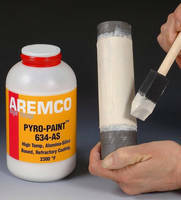 Pyro-Paint™ 634-AS is part of a line of refractory coatings based on ceramic fillers including boron nitride, carbon, graphite, yttrium oxide, and zirconium oxide. 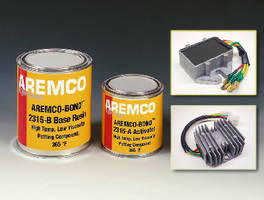 Please contact Aremco's Technical Sales Department for complete details about this advanced new product. 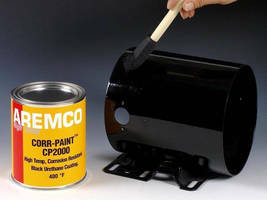 High-Temperature Coating protects structures against corrosion. 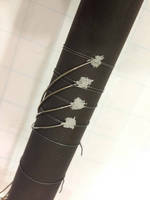 Ceramic Adhesive bonds thermocouples to high-temp heater. 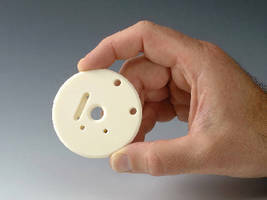 Alumina Ceramic molds high-temperature components. High-Temperature Sealant suits applications to 950°F. Epoxy Potting Compound suits applications to 365°F. 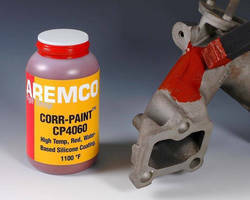 High-Temp Corrosion-Resistant Coating enhances motor housings.